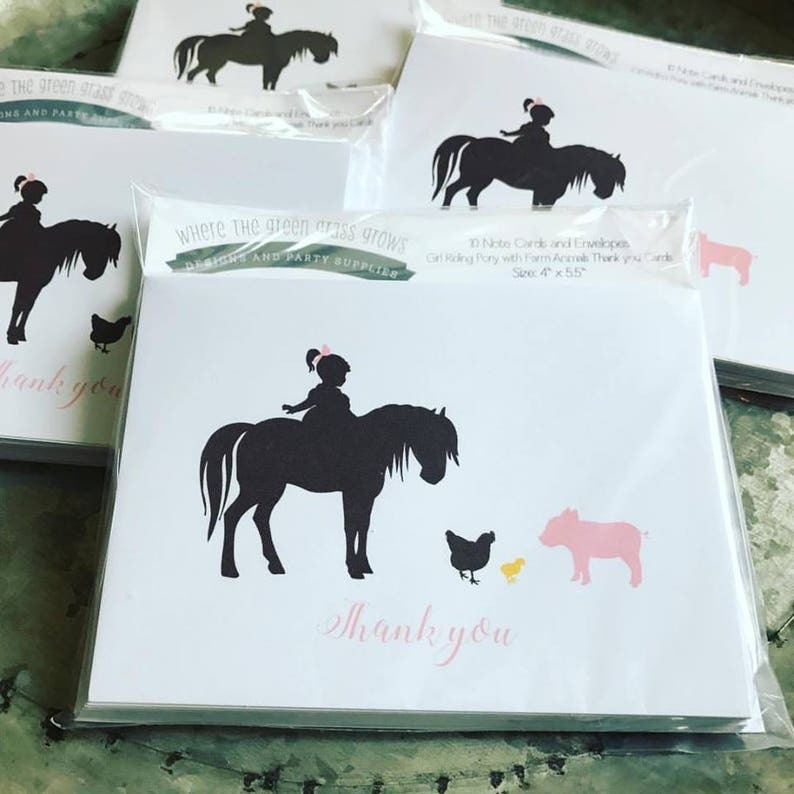 10 very cute cards featuring a girl riding a Pony with a sweet piglet, chick and hen. Other items pictured are not included. They are available in my party shop.